In recent years, high-end designers and the High Street thought of a marvellous plan to boost their sales: collaborate on capsule collections. In 2009 there were some lowlights (Matthew Williamson for Debenhams would be one), but lots and lots of highlights. 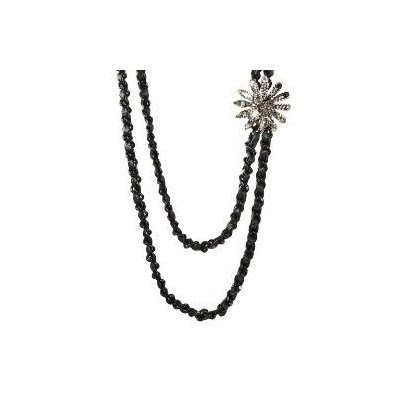 Among some of the best collaborations of last year were Jill Sander's part one collection for Uniqlo, Jimmy Choo for H&M, and among my personal favourites Erickson Beamon jewerly for Target (I adore my diamante and leather chain necklace pictured below). I put together a list of the most awaited designer collaborations in the first part of 2010. 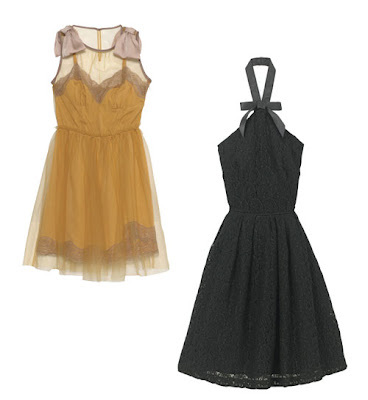 Some of them have already started (like Rodarte for Target and Jill Sander for Uniqlo). I also gave each collaboration a WOW factor rating, which stands for the likelihood I will be queuing from early hours in the morning to ensure I get my hands one of the key pieces. The rating is on the scale from 1 to 5, with 5 meaning I will be pitching a tent outside of the store the night before. OK, I was very unlucky, as there is no Uniqlo in Dublin and by the time I got to one on Oxford street, all the key pieces were gone. From the pics of the coats and beautifully tailored jackets, I presume the second collection launching today will be just as good if not better. I find it very difficult to find a perfect blazer on the High Street and Jill Sander’s impeccable tailoring paired with Uniqlo’s reasonable pricing hits the jackpot! I love Mary’s psychedelic prints. There is nothing like this out there and I bet you her capsule collection for Topshop will be a hit! I’d love to get a dress with her trademark bold prints. Think last year’s Christopher Kane for Tophop but ten times bigger! I will be booking a trip stateside or have my friends visit Target with a long shopping list, coz I bet you Jean Paul Gaultier won’t disappoint. 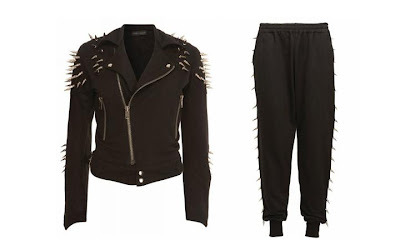 This collaboration is bound to be breathtaking, wacky and bold in the Gaultier way. Mark Fast’s SS 2010 collection was an inspiration. From employing plus-size models to designing cobweb dresses, it keeps me very intrigued about what he will design for Topshop. He won’t go wrong in making one of those cobweb pieces. Not very practical but oh so beautiful! 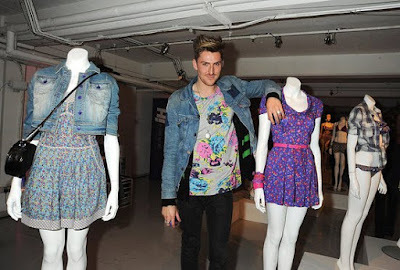 The preview pics of Henry Holland’s collection for Debenhams look great. I love the summer dresses and mini denim jackets. It’s all very quaint and has a flirtatious summer feel.